Two of the National Zoo’s thylacines, probably the surviving offspring of the original female, outside the Carnivora House, c. 1905. One of these animals (most likely the one in front) is USNM 125345, a specimen recently DNA-sequenced by a team of international scientists. Credit: Photo by E. J. Keller; National Zoological Park. Read the complete story on your 2012 Museum Madness Champion! The National Museum of Natural History (NMNH) recently served up an interesting challenge for local students—design mobile education “carts” for our new state-of-the-art Education Center, currently under construction here at NMNH. The students, part of the National Building Museum’s Design Apprenticeship Program (DAP), are involved in a seven-week course in which students learn about design by designing and planning a product and then building it. For the last 11 years, the program has been giving middle and high school teens a chance to learn about designing, building, working as a team, and working for a client. To be successful in their building design, the students learned about what kind of work is conducted at the National Museum of Natural History. DAP students met with scientists, educators, volunteers, and exhibits staff from the museum to learn about how and what NMNH scientists study, how science information is conveyed, and how the museum uses carts to give visitors an up-close view of objects and conduct demonstrations. Supporting the program’s core values of teamwork, research, and peer communication, the DAP students met with NMNH’s Youth Advisory Board (YAB). YAB, a group of local teens working with NMNH to develop new ways to communicate science to their peers, provided the DAP students a perspective from other teens on what happens at NMNH and gave them an opportunity to exchange ideas. Exposing the students to both museums has played a real role in helping students understand the intersection between design and science. “Design and science are interconnected. Design is all about how people perceive something, to the point that it really is a science…” said Vangie Hakes, a DAP teen. Since NMNH is in the midst of building its new education center, the design project has been very timely. The new education center will be a 10,000-square-foot space designed for students, families, teachers, and life-long learners to get up-close to the science behind the science at the National Museum of Natural History. Visitors will be able to handle and learn about 20,000 collection objects, attend lectures and events in a new theatre, and participate in activities in the classroom. The new space will house activities focused on thousands of collection objects, education programs, and public programs that are designed to be happening simultaneously. The complexity of the Education Center space and program design is an important project component for the students to better understand how their education cart design will fit into the bigger picture. Stepping up to the design challenge, DAP students understood that integration of the Education Center design was critical in creating a successful product. “This program teaches us how to listen to other ideas, patience, and compromise. At DAP I learned more cooperation skills and mixing skills meaning taking my ideas and the ideas of others, mixing them together to make one big design,” observed DAP student Taylor Hicks. The collaborative effort between the two museums and their youth programs not only taught the students about design and building, but it also helped the students understand the value of communication, collaboration, critical thinking, and creativity. “Working with the actual client and meeting their needs really helps see what would happen in the real world because you have certain specifications you need to meet and if you don’t, they won’t be satisfied,” says DAP student Sumaiyah Liggans. The collaboration between the National Building Museum and the National Museum of Natural History has been a successful pilot project. The DAP students are continuing to learn about design and building, while serving real community needs. Students from each of the Museum’s teen programs are also learning how transferrable their new skills are between the building and science disciplines. On Saturday, April 28, 2012, from 1-3 pm, the National Building Museum will host a reception where the teens will present their prototypes. The event is free and open to the public, with refreshments after the presentations are complete. Come out to the National Building Museum to help these students celebrate their accomplishments. Editor’s Note: DAP is open to 12-18 year old students in the Washington, DC metro region. There are two, seven-week semesters of the program per year, held in the fall and spring. Registration information for the DAP program is available on the National Building Museum’s website. Information about the Images: Design Apprenticeship Program students work as a team to design and build mobile education “carts” for the National Museum of Natural History’s new Education Center. The students worked closely with National Museum of Natural History staff to understand how the mobile education “carts” would be used, to better inform their design and prototype, seen here being built. All images courtesy of the National Building Museum. The 2011 Nature's Best Photography Windland Smith Rice International Awards Exhibit opened at the Natural History Museum on March 30, 2012. We all know that photography is a strikingly compelling means of experiencing nature's majesty. This concept is the driving force behind the Nature's Best Photography competition, which operates under the mission to "celebrate the beauty and diversity of nature through the art of photography." The Museums's exhibit features the winners in each award category, as well as a collection of some of the highly honored photographs submitted to the competition this year. Last month, we featured a post highlighting the Biodiversity Heritage Library (BHL), a consortium digital library project (of which the Smithsonian is a founding member) providing free access to millions of pages of biodiversity literature. The online library features not only texts but also stunning illustrations of natural history from the past 500 years. Not surprisingly, the species featured in the award-winning photographs from the Nature's Best Exhibit can also be found in the historic books held in the BHL collection. To celebrate the exhibit, we're highlighting some of the featured photographs and sharing more about the species captured in each snapshot through illustrations and scientific descriptions found in the Biodiversity Heritage Library. You can also learn more about the species starring in the exhibit by visiting the Encyclopedia of Life. Nature's Best Polar Bear: Winner: Wildlife. Polar Bear Cub, Barents Sea, Norway. Florian Schulz, NBP Awards 2011. Constantine John Phipps, 2nd Baron Mulgrave, was the first to describe the polar bear, which he encountered during his 1773 expedition to the North Pole. He published the account in the 1774 publication A Voyage Towards the North Pole. Just four years later, the first published illustration of the bear was released in Die Säugthiere in Abbildungen nach der Natur (below). BHL Polar Bear: Schreber, Johann Christian Daniel. (1774-1846). Die Säugthiere in Abbildungen nach der Natur. (pl. 141). See the first description of the Polar Bear in BHL. See the first published illustration of the Polar Bear in BHL. Nature's Best Lion: Highly Honored: African Wildlife. African Lions, Maasai Mara National Reserve, Kenya. Federico Veronesi, NBP Awards 2011. The lion was first described by Carl Linnaeus, a famous Swedish botanist and zoologist who developed the schema of identifying organisms by genus and species names ñ a system known as binomial nomenclature. He is therefore referred to as the Father of Modern Taxonomy. The tenth edition of his revolutionary work, Systema Naturae, represents the birth of zoological nomenclature (using binomial nomenclature for animals). The Lion was scientifically described for the first time in this work. BHL Lion: Finn, Frank. (1909). The Wild Beasts of the World. (vol. 1, "Lion and Lioness"). In 1909, Frank Finn's work Wild Beasts of the World was published, containing 100 reproduced illustrations of nature drawings by Louis Sargent, Cuthbert E. Swan, and Winifred Austin. One of the drawings contained within the first volume was "Lion and Lioness," by Louis Sargent (above). See the first description of the lion in BHL. See Louis Sargent's drawing in BHL. Nature's Best Stag Beetle: Highly Honored: Small World. Stag Beetles, Irún, Spain. Jose Grandío, NBP Awards 2011. The Stag Beetle was also first described by Carl Linnaeus in his tenth edition of Systema Naturae. The beetle's common name comes from the resemblance of the speciesí large mandibles to a deer's antlers. Furthermore, male deer use their antlers when battling over territory and mates. The Stag Beetle uses its mandibles for the same purposes. BHL Stag Beetle: Donovan, Edward. (1792). The Natural History of British Insects. (vol. 1, pl. 13). In 1792, Edward Donovan, an Anglo-Irish writer, illustrator and amateur zoologist, published the first volume of his sixteen volume work entitled The Natural History of British Insects. The series, published over a period of twenty-one years, contained 576 plates, 568 of which were colored. His depiction of the Stag Beetle, wings extended in flight, is particularly memorable (above). See the first description of the Stag Beetle in BHL. See Donovan's illustration of the Stag Beetle in BHL. We hope you get the opportunity to visit the Nature's Best Photography Exhibit at the Natural History Museum, running March 30, 2012-January 6, 2013. You can find out more about the animals in the photographs by searching on the species name in the Biodiversity Heritage Library and visiting the Encyclopedia of Life Collection. See more illustrations of these species from BHL in our Flickr collection. Museum Madness 2012 @NMNH - Results of Battle of the Champions and the Championship! After letting our competitors rest (even collections need a little break! ), the time has finally arrived for the Museum Madness 2012 Championship! Who are the contenders and how did they make it to the Championship? Who will be victorious? It's up to you! Image courtesy of Michelle Daniel. I come from Toronto, Canada, where I study Forest Conservation and Environmental Biology at the University of Toronto. Travelling to DC meant more than escaping the cold weather! I was drawn in by the excitement of the national museum environment and the opportunity to contribute to a project and an institution that is nationally and internationally meaningful. Interning at the Museum gave me the chance to combine what I have learned in my classes with participating in real research projects. How did you get "Behind those Doors?" I heard about the Winter Internship program a few months ago and kept a close watch on the website until the projects were posted in October. It was hard to choose just one! I applied to the Conservation of Bureau of Land Management's Botanical Voucher Collection project, which sounded exciting and likely a good fit for my interests. Once I contacted my staff sponsor, Andrew Clark, we were able to discuss the project further, and he and other NMNH staff made the rest of the process easy. Soon the paperwork was complete, my flight was booked, and I was on my way! What is it you're doing back there, behind those doors? I came to help with a project called Seeds of Success. Plant specimens and seed have been collected from all over the country to organize a seed bank (housed in Alaska) and a collection of the specimens as vouchers, which are joining the herbarium colelction at the Museum. While I was visiting, we started using the database that will enable us to organize the collection and the information we have about the specimens. This will allow scholars and land management professionals to study the specimens and to use them as vouchers to access seeds in the future for regeneration and other initiatives. In addition to those directly associated with the Seeds of Success project, I had the opportunity to explore the collection and participate in many of the aspects and functions of the herbarium during my internship. I was amazed at how many specimens there are! It was important to learn how the collections and other herbaria are organized and maintained. One of the things that I enjoyed most was working in plant mounting. The staff and volunteers who do this are like artists, and many of the specimens they prepare are very beautiful. Watching this and other aspects meant that myself and the other interns on this project were able to learn about the journey that a plant makes after being collected in the field. It's exciting to know we worked with specimens that are now part of a historically significant collection that we expect will continue to be valued and protected for hundreds of years to come. What's been the most amazing or unexpected thing you've seen, experienced or discovered while being part of the NMNH academic community? I think everyone would agree with me that the Museum is a very exciting place to be! I could have happily spent much more time in the exhibits, on behind-the-scenes tours, and at nearby sites. A particular highlight of my time had to be the behind-the-scenes tour of the paleobiology collection. From the tiny specimens to the dinosaurs, everything was so cool, and it was awesome to be shown around by an expert! For me though, the most amazing part of my internship was the sense of commitment across the Museum community to making this a great experience for me. I encountered a wide range of scholars who made every effort to ensure that I learned as much as possible through the project and even beyond the Museum - making my visit to DC a wonderful experience. SIA 2012-1880, Field notes of Martin H. Moynihan, Barro Colorado, Panama, 1958. Image courtesy of Smithsonian Institution Archives. Field books are the original records of scientific research and discovery. Typical field books might include scientific data on species, habitats, and environments. They can also take the form of journals and diaries which provide a more personal perspective on field work including accounts of travels, people encountered, and daily events. Some of my personal favorites are ones that talk about the food that was eaten during these travels, some of which even go into detail notes on the ingredients or preparation of local cuisines. At the Smithsonian, there are more than 6,000 field books covering two centuries of biodiversity field work. Representing the work of historic expeditions, well-known scientists and key moments in the history of biological research, many of these are inextricably linked to field books in other collections across the country. Take the United States Exploring Expedition or Wilkes Expedition as it’s commonly called. With field books from that single expedition now housed at more than a dozen institutions across the country and many not yet available online, finding them all can be a laborious task indeed. SIA2012-0664, Starfish specimen collected off the coast of Palmer Peninsula, Antarctica, c. 1962. Image courtesy of Smithsonian Institution Archives. 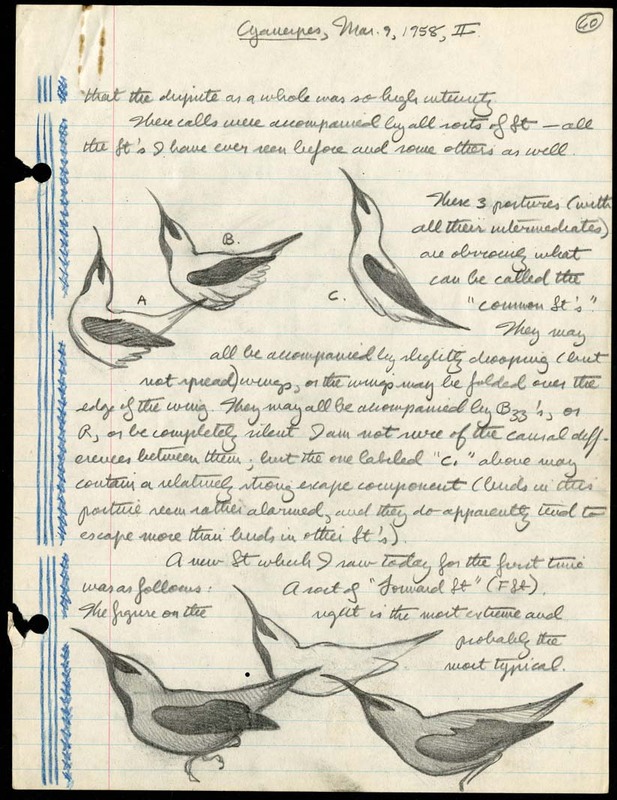 To help improve access to these types of materials, the National Museum of Natural History (NMNH) and the Smithsonian Institution Archives (SIA) came together to form the Field Book Project. Working together with six other leading natural history organizations, the Field Book Project is developing a Field Book Registry which will make it possible to search and locate field book content through one online location. Over the 18 months that the project has been underway, the Field Book Project has cataloged more than 4,000 of the Smithsonian field books and highlighted many of them on our blog. You can read stories about collecting adventures, world travels, methods used to create field books and some of the conservation treatments we use to ensure that these field books are preserved for future generations. Photographs from these collections are also available on Flickr Commons and give a glimpse into field work conducted over the last century. SIA2011-0403. Portion of field book page with photograph by Edward Chapin, in Guasca, Colombia, 1942. Image courtesy of Smithsonian Institution Archives. Start exploring these images and stories, and subscribe to our website newsfeed and blog to see what we find next. Museum Madness 2012 @NMNH - Results of the Division Finals! From the thirty-two contenders that began on March 21st, you've narrowed the field down to four division champions. Thank you for your enthusiastic responses and support of the objects about which you want to learn more! While it breezed past the Hope Diamond in Round 1 and the Monarch Butterfly in Round 2, the Bull Mummy just couldn't move past Titanoboa in Round 3. The Deep-Sea Vent Worms, meanwhile, continued their winning streak as your votes helped them to a victory over the Wood Collection. Who are you pulling for in Round 3? Voting will open later this afternoon, and we'll need your help to narrow the field from 4 to 2!